North Korea said Friday that an August reunion of Korean families separated by war may not happen if South Korea doesn't immediately return some of its citizens who arrived in the South in recent years. The 2016 arrival of a group of 12 female employees from a North Korean-run restaurant in China has been a source of contention between the rival Koreas. North Korea has accused South Korea of kidnapping them, while South Korea says they decided to resettle on their own will. North Korea has often used the women as a reason to rebuff South Korea's repeated request to allow elderly citizens split during the 1950-53 Korean War to reunite with each other temporarily. But Friday's statement is the North's first attempt to link the fate of the women to the August reunion and comes amid worries that a global diplomacy to push the North to give up its nuclear weapons is making little headway after months of detente. 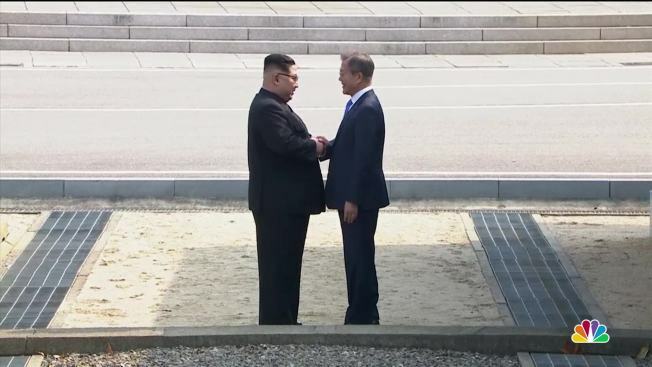 The North's state-run Uriminzokkiri website said that the reunion and overall inter-Korean ties could face "obstacles" if Seoul doesn't send back the women. Seoul's Unification Ministry said it has no comment on the Uriminzokkiri dispatch. There has been mounting speculation that some of the 12 North Korean women might have been truly duped into coming to South Korea. After meeting some of the women earlier this month, Tomas Ojea Quintana, the United Nations' independent investigator on human rights in North Korea, told reporters in Seoul that they told him they did not know they were heading to South Korea when they departed China. "Some of them, they were taken to the Republic of Korea without knowing that they were coming here," Quintana said, referring to South Korea by its formal name. "If they were taken against their will, that may (be) considered a crime. It is the duty and responsibility of the government of the Republic of Korea to investigate." South Korean media had earlier carried a similar report, citing interviews with some of the women and their North Korean male manager who came to South Korea with them. The women's arrival happened when South Korea was governed by a conservative government, which took a tough stance on the North's nuclear program. South Korea's current liberal President Moon Jae-in wants to expand ties with North Korea, but repatriating any of the women would be a delicate matter as many experts say relatives of those who decide to stay in the South will likely face reprisals by the North Korean government. Since the end of the Korean War, more than 31,000 North Koreans fled to South Korea for political, economic and other reasons, according to South Korean government records. Seoul has never repatriated any North Korean defector, though a handful of them reportedly returned home after failing to adapting to new lives in the South. The Koreas ban ordinary citizens from visiting relatives on the other side of the border or contacting them without special government permission. Since 2000, however, nearly 20,000 Koreans have been allowed to reunite with their loved ones for several days under on-and-off reunion programs. The last reunion was held in 2015. While the South wants more reunions, North Korea prefers infrequent meetings because it doesn't want to waste what it sees as an important diplomatic bargaining chip and worries about increasing its people's awareness of the outside world, according to experts.